This adorable town on the west side of the Solent made its money from salt production, shipbuilding and smuggling. Those industries reached their peak in Lymington in 18th century, and their legacy is an intact Georgian townscape with little courtyards and a quaint cobblestone hill leading down to the Town Quay. Now people sail the Solent for pleasure, and the town has three marinas at the mouth of the Lymington River. 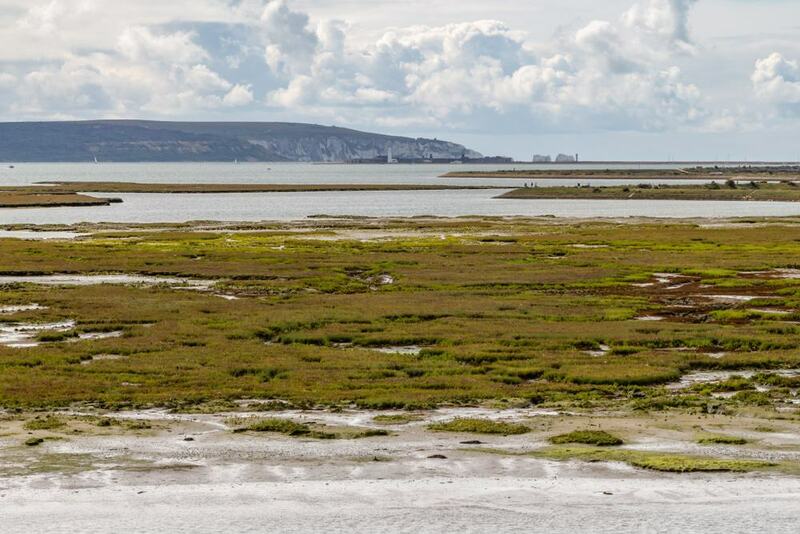 The old saltings on the coast are nature reserves attracting dazzling birdlife and with stunning views across the strait to the Isle of Wight. 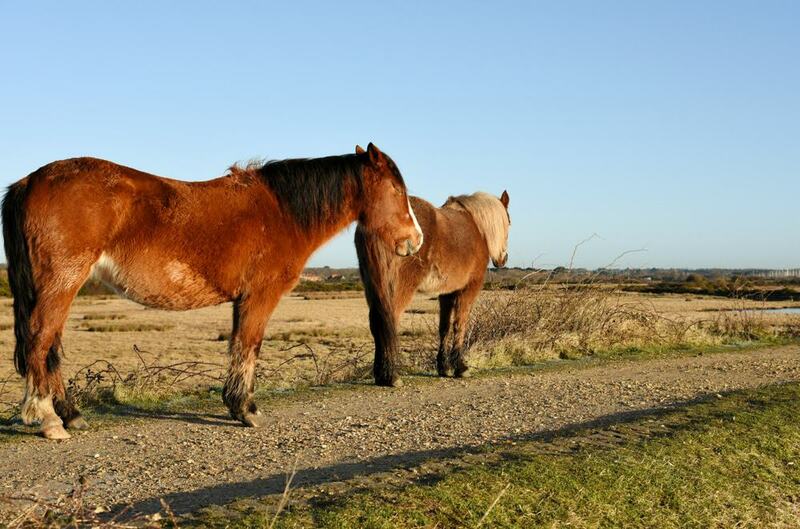 Lymington is also on the cusp of the New Forest and its unbounded woodland and pasture grazed by semi-feral ponies. 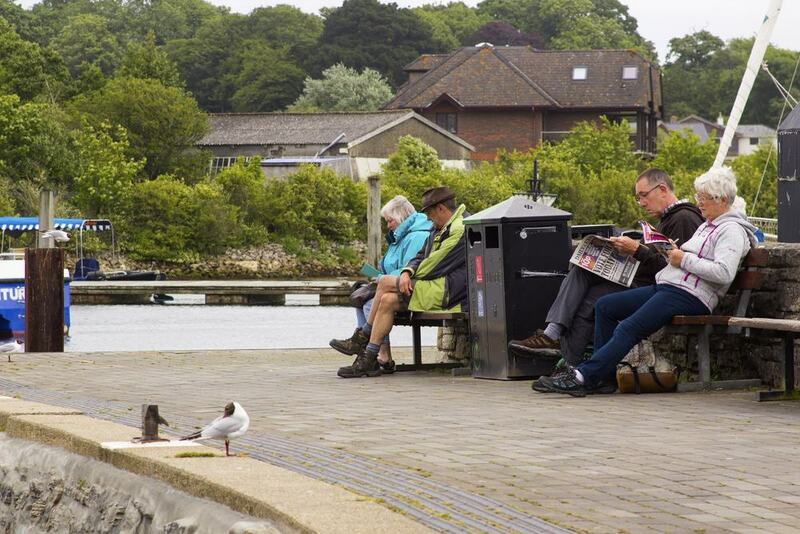 Lymington is on the fringe of 219 square miles of unenclosed forest, pasture and heathland. Equines have freely roamed this land since before the Last Ice Age, and their descendant is the New Forest pony, which is usually free to run loose in semi-feral conditions. In Medieval times the New Forest was a royal hunting ground, and two of William the Conqueror’s sons died in hunting accidents here. Later, the Royal Navy sourced its timber from New Forest’s myriad oak trees. To get in touch with this history and the nature of the National Park, head to the New Forest Centre in Lyndhurst, which has a reproduction of a traditional cob cottage, while kids can learn how to detect animals at the “Poo Corner” game. One landmark not far from Lymington is the Knightwood Oak, hailed as the “Queen of the Forest” with a girth of more than seven metres, and dating back over 500 years. Lymington is by the eastern trailhead of a 60-mile path between Milford-on-Sea in the west and Emsworth Harbour in the east. As the name suggests, this runs the length of the Solent, the strait between mainland England and the Isle of Wight. At Lymington you could make the short walk along the coast to Milford-on-Sea, catching the ferry (seasonal) from Keyhaven Harbour to Hurst Castle. In the other direction the Solent Way cuts inland through the New Forest on the 10-mile leg to Beaulieu. At Buckler’s Hard there are two unchanged terraces of Georgian cottages sloping down to the Beaulieu River. From the early 18th-century this was a shipbuilding settlement, using timber from the New Forest, and the village today is an open-air museum bringing its maritime history to life. Henry VIII built Hurst Castle in the early 1540s as part of the Device Forts system. This gun fort is at the narrow western entrance to the Solent, at the end of the mile-long shingle bank, the Hurst Spit. 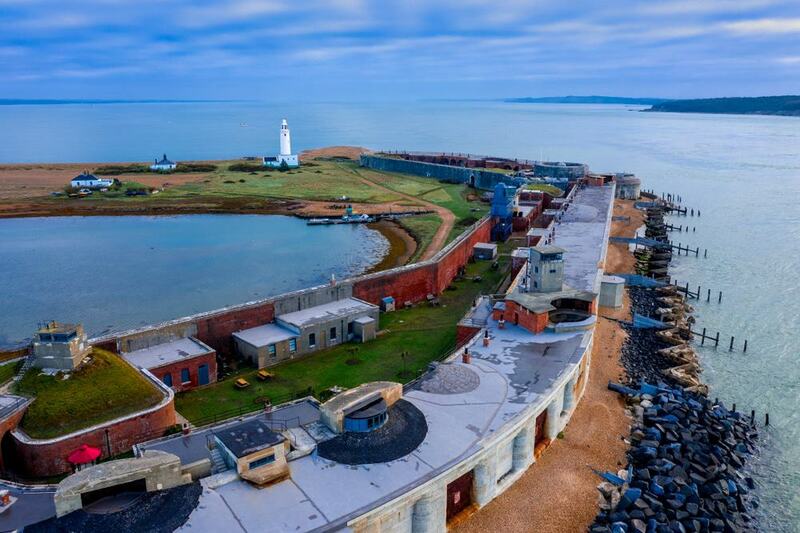 At the time Hurst Castle was at the cutting edge of military technology, and armed with 26 artillery pieces protecting a channel just 0.75 miles wide. After the 16th century the castle was used as a prison before being repeatedly modernised, for the Napoleonic Wars, again in the middle of the 19th century and then during the Second World War. So there are layers upon layers of history, like Tudor gun embrasures, monster RML 12.5 inch 38-ton guns from the 1800s, and, unexpectedly, a small preserved theatre established during the Second World War. On the roof, among the Napoleonic-era gun positions you can contemplate the Solent and The Needles in the distance. The Lymington and Pennington government website has a downloadable leaflet and map marked with trails in Lymington and its outskirts. 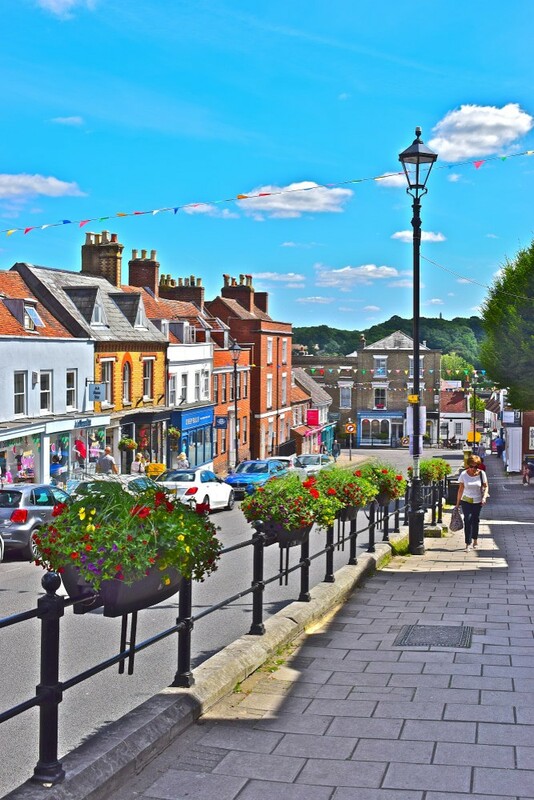 By way of introduction, the red route loops around the Lymington’s atmospheric Georgian and Victorian town centre and packs a great deal of sights and information into an hour or so. Not to be missed are the cosy little courts darting off the High Street, created to provide extra space for traders and now hiding boutiques and cafes. Near the top of the hill is the palatial Angel Inn, a former coaching inn from the 18th century. The town’s proclamations would be read out from the balcony, while the assembly rooms next door were the soul of Lymington’s upper class social life. From this point you can see a massive granite obelisk on the opposite bank of the Lymington River, raised in memory of Harry Burrard-Neale, MP for Lymington in the early 19th century. On New Street this neat local museum reopened in August 2017 after a £2m refit. The exhibitions are all about the heritage of the New Forest coast, examining historic trades and activities like shipbuilding, salt production and smuggling. These subjects are tackled with a superb timeline, detailing Lymington’s progress over centuries and displaying artefacts relating to commerce, home life, industry, agriculture, war, leisure and also the local ecology. 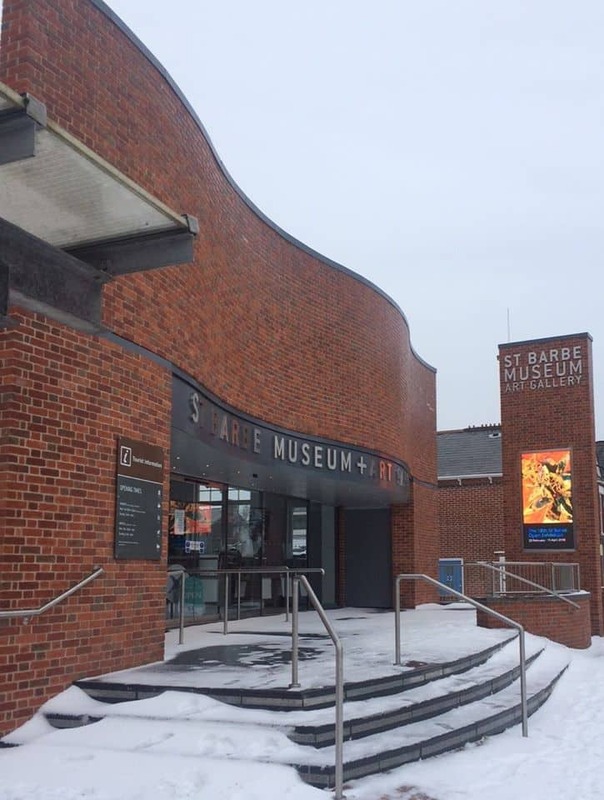 The museum made the news recently when it took possession of The Boldre Hoard, more than 1,600 Roman coins from the 3rd century. For kids there are lots of things to handle, clothes to try on and activities like manning a replica pilot boat wheelhouse. The Art Gallery stages temporary exhibitions showcasing artists from the region with a national profile, like the bird sculptor Geoffrey Dashwood and engraver and print-maker Colin See-Paynton. Established in 1833 and restored in 2010, the Lymington Sea Water Baths is the oldest lido in the country. The pool is also one of the largest at 110 metres long and 50 metres wide, and is filled with filtered and chlorinated seawater. Today’s pool is on the site of a smaller baths founded in 1780 and is open during the summer and then drained from September to May. The facility closed down in 2008, but soon reopened after a campaign by Lymington’s residents, who also helped with the refurbishment. 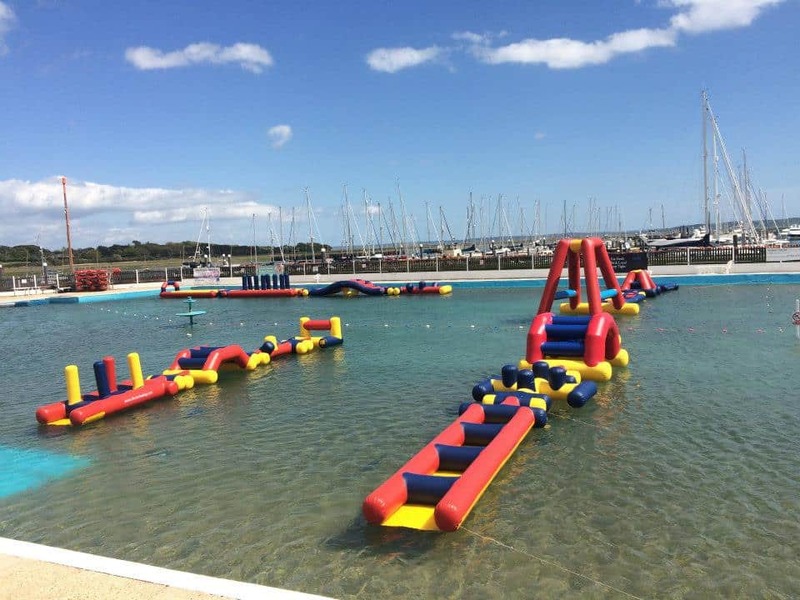 There’s plenty of room for people who want a serious swim, and anyone who wants to climb, slide and scramble over 200 metres of floating inflatable obstacle courses. You can also hire paddleboards at the pool, while there’s a safe splash pool for littler swimmers. 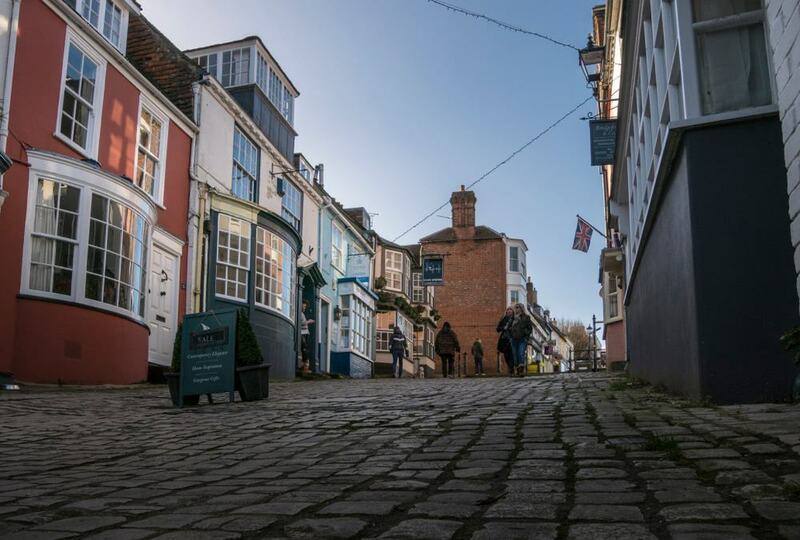 At the bottom of the High Street you can walk the extremely pretty Quay Hill down to the waterfront. This steep cobblestone alley cuts through a ravine of restaurants, tearooms and wine cellars, all in picturesque Georgian buildings. In the 18th and 19th Quay Hill was chaotic, as century several tons of salt were carried down the hill each day to be loaded onto boats, while coal and timber would be hauled ashore. And although it might be hard to imagine today, the Quay Hill was a dodgy area in those times, which is less surprising when you remember Lymington was a smuggling haunt. The estuary still bristles with the masts of hundreds of pleasure boats moored in the marina and high-end Lymington Yacht Haven. You can survey the water from the Town Quay, where there are yet more fine old buildings like the House on the Quay from 1675 and the Ship Inn (1850). 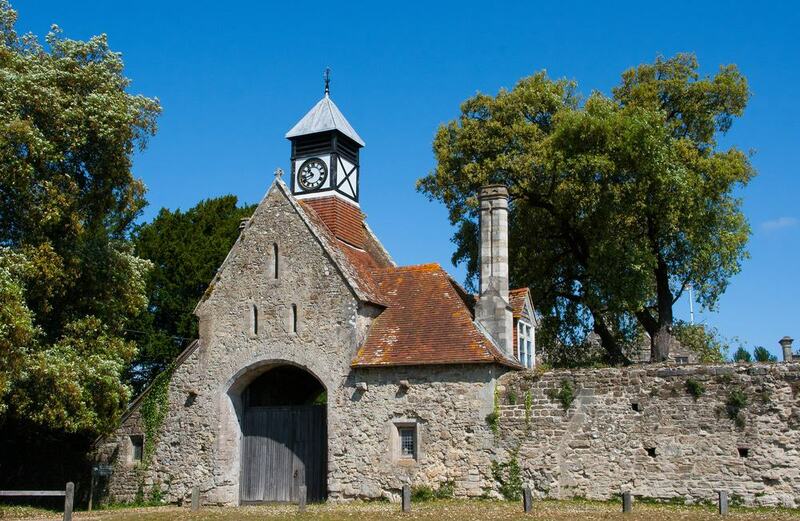 This Cistercian Abbey at Beaulieu was founded by King Joan at the start of the 13th century. It was unique in Britain as it was populated by French monks from the mother house of the Cistercian order at Cîteaux. Like most monasteries in England Beaulieu Abbey was damaged during the Reformation in when the monastery and its estate was sold off to Thomas Wriothesley, 1st Earl of Southampton. Remarkably though, Wriothesley adapted the monastery’s great gatehouse as Palace House, so most of the cloister was saved, while the refectory was eventually turned into a parish church. You can visit the replanted potager and the ruins of the chapterhouse, while the intact domus (lay-brothers’ living quarters) houses a museum. Exhibits here reveal what the abbey would have looked like in the 13th century and describe the daily routine of a Medieval Cistercian monk. 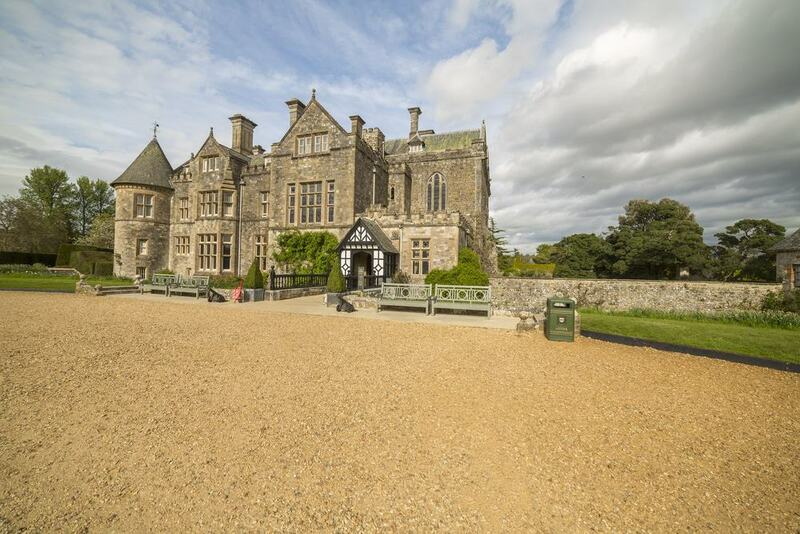 The mansion built by Thomas Wriothesley on Beaulieu has remained in the same family, the Montagus, ever since. The house was remodelled and extended in the 19th century and has been preserved as an archetypal Victorian country house. It was one of the first country houses in the England to open up to the public, and has been welcoming visitors since 1952. Guided tours are given by people dressed as Victorian household staff, and they’ll share anecdotes about the many Montagus who walked these halls. The kitchen has been fully restored, and during the school holidays you may see Lord Montagu’s cook preparing Victorian cuisine. On the same estate is one of the UK’s top motoring attractions. The National Motor Museum was founded by Edward Douglas-Scott-Montagu as a tribute to his father, John, who was an early promoter of motoring and established The Car Illustrated magazine in 1902. 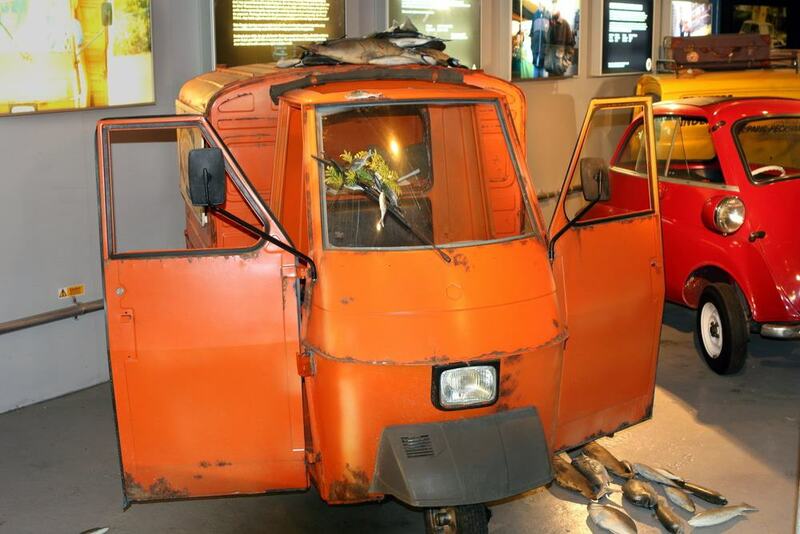 Along with tons of automobilia including photographs, footage, books and journals, the museum has a collection of some 250 vehicles, manufactured in eight different countries and beginning in the 19th century. Among them are no fewer than 11 Formula 1 cars, including a Bugatti Type 35 and a McLaren Mercedes from the 2010 season. The collections from the vintage era (1919-1930) and the mid-20th century are very strong (see the E-Type Jaguar and AC Shelby Cobra). In 2018 the Luxury of Motoring exhibition celebrated the opulence of the interwar years with spectacular display of 28 glass car mascots by René Lalique. Instead of catching the ferry from Keyhaven Harbour to Hurst Castle you may prefer to take the scenic route along the mile-long Hurst Spit. As you venture down this shingle bank you can ponder the views of the Isle of Wight and the fabled Needles to the south and east, or back over the expanse of mudflats and saltmarshes that drove Lymington’s economy for centuries. Wading birds like redshanks, ringed and grey plovers and oystercatchers forage in this environment, also home to large dunlin and black-headed gull colonies. At the end of the spit, next to Hurst Castle is the 26-metre Hurst Point Lighthouse, completed in 1867 and still working today. Cherished by locals, Woodside Park is in Lymington’s southern outskirts and ideal if you need somewhere affordable to go with children. The park has some magnificent old specimen trees, which create just the right setting for the “Woodside Fairy Trail”. You can download a map and take little ones in search of a trunk home to the “Fey of Woodside”, a community of gnomes, goblins, faeries, elves and brownies (a British household spirit). 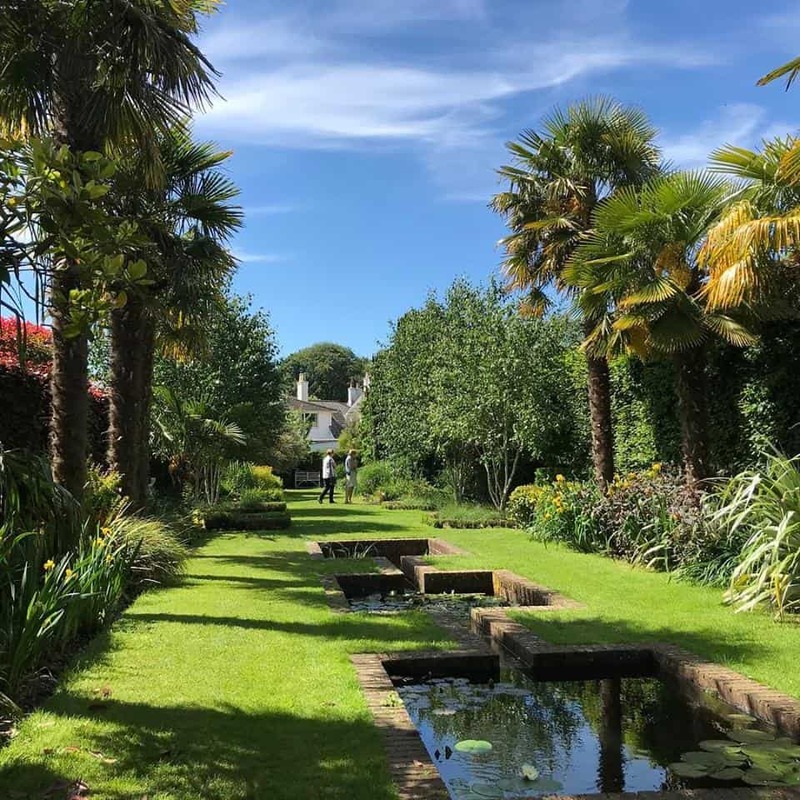 There’s also an adventure playground for kids, as well as a skate park, outdoor gym and permanent table tennis tables, while the formal gardens and giant rhododendron bushes are perfect in summer. The weekly Park Run meets on Saturdays at 09:00, though you’ll have to register online for free first. If you want to see Lymington’s old salt workings, just stay on the coastal path past the Sea Water Baths and Lymington Yacht Haven. Following the seawall you can look over the salterns, which now form part of a continuous nature reserve between Lymington and Hurst Castle. If you can, bring a pair of binoculars to get a good look at the hundreds of wading birds. From the 12th century to the 19th century all three miles of coastline was given over to salt production. On this now open expanse there were boiling houses, docks, wind pumps and evaporating ponds. Just above the marshes in Lower Pennington a few of those old salt boiling houses remain, dating back to the 18th century. Afterwards you can cut back towards Lymington along Woodside Lane, which has some fine old properties, like Manor House, dating back to the 17th century. Off the beaten track there’s an enthralling formal garden three miles from Lymington, open May to October. Apple Court was planted in the 20th century in the abandoned walled garden of Yeatton House. In just one acre there’s a series of little rooms and passages, like the Hosta Walk, which bursts into colour in spring, or the daylily collection, which is spellbinding around July. Roses are scattered across the garden, along with exotic palms which do well in coastal Hampshire’s mild climate. The Japanese Garden has Japanese maples, bamboo and koi carp, while the White Garden has a majestic ellipse of pleached hornbeam trees. On Saturdays the High Street becomes car free as Lymington observes a trading tradition that goes right back to 1250. 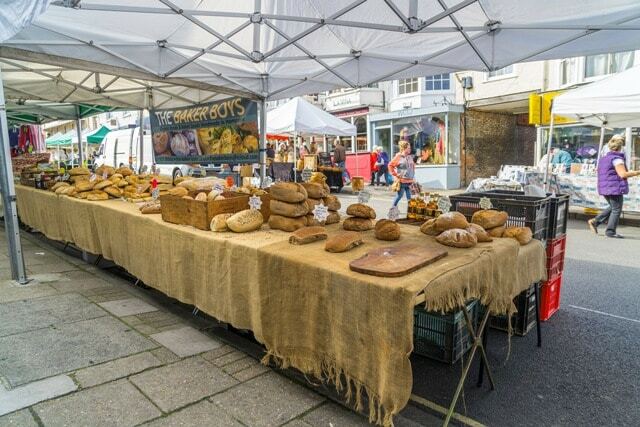 The stalls line the pavements on both sides of the street, selling fresh bread, fruit and vegetables, plants, cut flowers, herbs, meat, fish, arts and crafts, fashion accessories and cards. There are as many as 100 stalls each week, and the atmosphere is lively. In April 2018 the fruit and vegetable trader Wayne Bellows was warned by the council for shouting about his wares too loudly!